Main Street Bookies meets on the third Friday of each month at 10:00 a.m. for book club! We enjoy good conversation and even snacks and coffee! Thank you to Grounded Coffee for generously donating the awesome coffee for our meetings! See our reading list below and past book reviews.  If you’d like us to reserve a copy of a book for you, give us a call at 785-584-6454. We are happy to reserve large print or audiobooks if you prefer, just let us know. For everyone present, this was the first Agatha Christie novel anyone had read. Of course, she is an author I’d say most readers (and most non-readers) have heard of, but I suspected when I put this book on our reading list that most of us had not actually read one of her novels, and this proved to be correct! 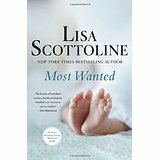 Most found her array of characters and twists and turns somewhat confusing. She didn’t have much description in way of setting and character development, but pushed right through the plot with lots of dialogue. Even our series heroine, Miss Marple, barely made much contribution until halfway through the book. Interesting to finally have read one of Christie’s books, but most decided one was enough. This may be the lowest-rated book in our book club’s history. “Freedom” by Jonathan Franzen is probably close, but we weren’t officially rating our books at that time. Despite having won the Pulitzer Prize for this novel and despite Hollywood thinking the story was movie-worthy, our club really disliked the book. They found it depressing. Some positively commented, however, that the book did make one think about some tough issues. Oddly enough, I heard more pre-meeting discussion on this book than most, and members were calling each other about it and discussing it around town. So, in the end, success–the book got people talking to each other about books! The general thought about the book was that the characters were rude, mean, and hateful. Some felt like we were peeking through the windows of our neighbors, and, quite frankly, seeing more than we wished. Despite Strout’s wordsmithing ability, the book was a real downer for most readers. I won’t go into plot details here; one can look it up for oneself. As I expected, this book had a high rating among our book club members. The story and plot were of genuine interest to our readers–of course, the Kansas connection, was of particular enjoyment to most. Moriarty did a great job of introducing us to the actual historical figure of Louise Brooks. We watched a short documentary found on YouTube of Brooks, which included interviews with her when she was in her 80s.Â “The Chaperone” was an epic story that led you through a wide span of time, which many readers enjoyed. Moriarty introduced difficult and controversial subject matters in a graceful way, leaving the reader with just enough detail, but not overwhelmingly so. Our group highly recommends this book as one with memorable, likeable, and strong characters you will enjoy getting to know. Despite the graphic content and strong language in this book, it was very well received by our group. The content was outside the normal reading/comfort zone of the majority of our group, but by the end, they had found they really liked it. The plot was fast-paced and kept reader interest. 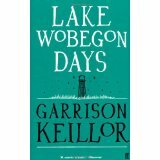 The protagonist, Kate Burkholder, is chief of police in a small Ohio town that has a large Amish population. Formerly being Amish herself, Kate bridges the gap between the Amish and “English” communities. 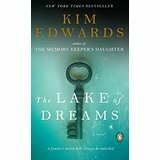 When young women are being killed in a gruesome manner, Kate’s troublesome past is brought to the forefront of the investigation. If you like mystery/thrillers or if you want to try something new, “Sworn to Silence” is a great read. It is the first in the Kate Burkholder series. Keeping secrets and their eventual revelations seem to be a common thread in modern literature. “White Picket Fences” was no different–the story revolves around secrets held in a modern day family and their dysfunctional lives–secrets from the Warsaw ghetto during Holocaust times–secrets from the past of a terrible fire. 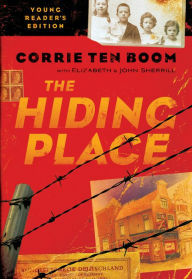 Most of our club enjoyed the book but did tire of much of the inner monologue of the current day characters–some wished the author had taken the time to explore more interesting facets of the story such as the Holocaust/Warsaw ghetto/smuggling babies operation and perhaps even the other people who were affected by the daycare fire and where they were today. Although this book is often labeled as religious fiction, most felt it didn’t fit that category very well since there were only passing references to God. The author did pull together some interesting characters and story-lines, which made it an overall enjoyable book for our group. “The Time Keeper” was a thought-provoking, and at times, profound, story about time–how we spend it, how we crave more of it, how we want it to pass, and how we are always aware of it. While many did not care for the story itself nor felt a strong connection to the characters, it was recognized the book carried many passages that represented important ideas we should consider. One member commented the book contained a lesson we all know but should be reminded of periodically. Albom’s writing was engaging and well-thought of by some, and others felt the book did not draw them in as they had wished. Nevertheless, the discussion was excellent as we reflected on time and how we have used it and consider it. I believe one of the best ways to judge a book for our book club is the amount and quality of discussion it prompts, and this one is a thumbs up in my notes. 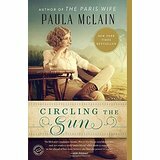 Most enjoyed this witty story of a female private detective in Botswana, Africa. Mma Ramotswe is full of insights and memorable stories. The politeness of the older generation in Botswana was admired greatly by our readers. Such a pleasant view of one part of Africa was enjoyable to read. Our group had interesting discussions about women’s intuition and if a female detective might be more astute than her male counterpart–we all agreed that women had great attention to detail, which would aid them in this line of work. Overall, this book was very enjoyable. Some readers thought the flow was a bit awkward, but other readers who have gone on to read more in this series says the flow is improved. This was one of the most consistently rated books among our club we have ever seen! Full of interesting subtleties and how lies grow and build and eat away. Also received an interesting glimpse of treatment of disabled children in the 1960s-1980s. Despite the nasty weather today that kept several at home, we had a nice, easy read to discuss to finish off our year. 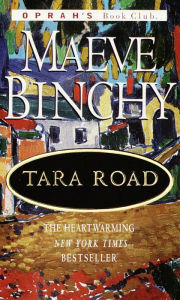 Ms. Binchy’s last novel, A Week in Winter, was a heartwarming, simple read that contained interesting characters and a beautiful setting. Some of our readers were disappointed in the ending of the book and wished for more closure. The book was organized mostly through miniature stories of a variety of characters who find themselves on a week’s vacation at a remote Irish bed & breakfast/hotel. The reader easily gets engrossed in each character’s story, and at times the stories intertwine. While the book didn’t spark our usual complex discussion, it was a great book for a busy time of the year when the mind and body are full of so much else! Hopefully we take a break from racially-oriented books for awhile was the sentiment of the club. While this one was a bit more modern in its era (1940s/present), the conflict between races was obviously the main theme of this story. What happens when a privileged white woman and a black man fall in love in the 1940s? Read this story to find out! One member observed in most of the racially-oriented books we’ve read, it seems that the black families pull together and are made stronger because of conflict, but the white families tend to break apart. While this may just be a writing device by various authors, it’s an interesting observation, and behooves us to consider how we handle conflict that arises in our own lives. Our club agreed this book really drew you into the story; many liked the ending and thought is was a practical solution to the problems presented in the book. The workings and setting of the lighthouse (and Australia) were a nice change from more typical and common settings. 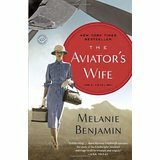 Many felt for the husband and his dilemma’s and what they thought were his “survivor’s guilt.” As you can see by the rating, this book was well liked by our book club! Despite its difficult content, this book was a big hit and well-liked by our book club. I think everyone agreed the book was very well-written, and the author swept you into the story making you feel as if you were the character or an observer to the unfolding events. Of course all the secrets and tragedy were heart-rending. The book club discussed slavery and its effects and hidden (and not-so-hidden) atrocities. The book was a great conversation stimulator. We wonder if she’ll pick up where she left off with another story. We’ve all heard that certain flowers and plants have certain meanings that may want to be considered before being given to someone, and this book brought these Victorian flower symbols to a modern-day story. While the book is full of heartbreak at times, most of our club really enjoyed the story. The foster care system and its effects on someone (just one example, of course) played a large role in our protagonist’s story. Life is full of difficult choices, and past experiences can be the biggest influences on our present-day actions and situations–both of these self-apparent truths are key to this novel. Set in the mid-late 1600s, Caleb’s Crossing is a telling of the story of one of the first settlers of the island now known as Martha’s Vineyard and her experiences in getting to know the local native Americans. The book was inspired by the true story of the first Native American to graduate from Harvard. Many of our book club members found the writing style (time period) difficult to read and for some this was a major barrier to reading the book. Most commented the frequency of unfamiliar words–many of which weren’t in a standard dictionary. Thanks now-a-days to the Internet! The book encouraged discussion of our nation’s history in the treatment of the Native Americans and also its treatment of women. We see much stifling of opportunity for our main character and story point-of-view, Bethia Mayfield. One part of the book describes an educated woman as “a malformed, misguided wretch,” which shows how an educated woman in those days was not only unwanted but she herself would feel out of place in her own world. 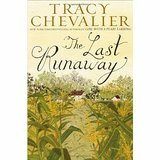 The book had much hardship and sorrow, but for those who like historical fiction, this one is right up your alley! I think I’ve come to realize either you love or hate Nicholas Sparks’s books. Both sentiments were in full view at our discussion! On his website, Sparks said he was trying to create a similar, parallel story to “The Notebook” when he wrote “The Choice.” Our book club didn’t think he achieved as good of a story, but many enjoyed it nevertheless. We won’t spoil what the “choice” was, but the book was about two neighbors who unexpectedly fell for each other. Difficult decisions were ahead of them –ones that many of us might have to face. Several agreed Sparks is an author who can evoke your emotions and has issues in his books that all of us have faced or could face. But some said his books aren’t real-life enough–that everything works out a bit too perfectly. Such comments brought forth the question whether we need our books to be realistic to enjoy them. Many said, of course not, but this one was criticized because it was too nice and predictable. Others thought the book had one-dimensional characters. We’ve said a lot of negative things, but several really enjoyed the book and found it a heartwarming story and really enjoyed a nice read after heavier, more complicated books. The first book in the Camel Club/Oliver Stone series was received in different ways by our club. Many liked its intricate characters and conspiracy-theory-type plots. Others didn’t want so much detail and so much to keep track of. The politics involved were fascinating to most and seemed to be something that could really happen. This book was well-loved by our club! Tragic, but heart-warming, the story of Ivorie and the little boy she “rescues” touches the reader. The author was skilled in reflecting the seriousness of situations in the book that were quite unpleasant without revealing too much detail that would have been overwhelming. Many commented that Ivorie was a woman before her time–especially in her geographic area of the hills of Tennessee. We hope for a sequel! The Sinister Pig is a novel in the Joe Leaphorn & Jim Chee Navajo mystery series. 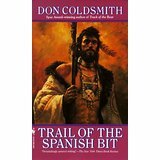 Many of our book club members enjoyed a book set in the Southwest. Several themes in the book such as smuggling, illegal immigration, and dishonest politicians gave readers food for thought and enlivened our discussion. We might have enjoyed the novel more had we read others in the series so that we had more background knowledge and a deeper affinity toward the characters. Sometimes it seemed the novel went off in too many directions. It turned out to be just an average read for us– one to quickly move on from to the next in our reading list. This was Mary Higgins Clark first novel. She wrote it in 1969 after doing quite a bit of research on George Washington for another project. 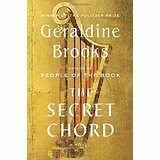 This biographical novel reminded many of our members of previous facts of George Washington and introduced them to others in an enjoyable way. We wished we knew where to separate fact from conjecture in the story. Some members complained about the difficulty in the structure of the book being set in different time periods and going back and forth between the two. Some members also thought it gave a nicer view of George Washington than history has indicated (use of slaves, possible affairs, etc.) Overall, it was an easy read and a nice story about a historical figure–it gave some personal feel to a well-known name. “Winter Garden” is a haunting tale of a mother distanced from her two daughters by her tragic past during the siege of Leningrad in World War 2. They learn to connect with each other through the telling of the mother’s story, which is also an act of catharsis for her. We are reminded of how often families break up when a parent dies and the difficulties families face with loss. Several members agreed there were too many unanswered questions and the ending was wrapped up too quickly. A follow-up book or a few extra pages to finish the story off would be welcome. “White Christmas Pie” was a quick, easy read about an Amish community and the betrothal of a young Amish man whose past haunts him. The book is perfect for someone wanting a light read around the holidays. Some members of the book club wished there was more depth to the story, but others liked how it was a simple, nice story. The Amish are an interesting group of people to read about, and the group enjoyed discussing their own experiences with Amish communities in several different states. One member brought copies of The Budget, the famed Amish newspaper that is mentioned in the book. Another member made White Christmas Pie for the group based on the recipe in the back of the book. Tough book, but very good. Follow Amir’s story, which begins in Afghanistan during the tumultuous times of monarchy, Soviet occupation, and Taliban dominance. Immerse yourself in the intricate relationships between Amir and his father, Amir and Hassan, and others. Redemption is offered in this tale, yet it is bittersweet. Readers get a picture of what life was like for some in Afghanistan and the hardships that occurred daily. The book was described by members of our book club as intense, disturbing, and truthful. Also those who had read Hosseini’s second book, “A Thousand Splendid Suns” highly recommended that book. We also had one member who had recently seen the movie adaptation of “The Kite Runner” and highly recommended it. She watched some of the extras that described how the movie was made in a small Chinese village and found it interesting how historically accurate the filmmakers attempted to be for the film. This book is highly recommended by the club! Full of plot intrigue and in-depth analysis of Asperger’s syndrome, the book is difficult to put down! Jodi Picoult gives insight into the challenges and rewards of having a child who is on the autism-spectrum. Jacob Hunt’s obsession and passion is crime-scene analysis, and his natural ability to remember detailed facts about the topic comes too close to home as he gets involved in a death that brings his involvement into suspicion by the police. Marina Singh works for a Minnesota-based pharmaceutical company and has recently been notified her lab partner, Anders, passed away while on a work-based trip to the heart of the Amazon in South America. Marina is then sent to discover what happened to Anders and also to check on the progress of a drug in development in the Amazon. Again, we ran into a book that was very popular among the masses, but overall was not well-liked by our club. However, instead of just general dislike, we had some people who really enjoyed it and others who were quite the opposite. No spoilers, but the ending was noted to be abrupt and disappointing. Several club members mentioned the book was difficult to get into and took quite a while before the story grabbed them. Ann Patchett, however, seems to be a skilled writer as she blends in character and place descriptions, which help you visualize what is happening quite effectively. “The Brave” was not generally well-liked by our club, but a few did enjoy it. Many of our members had previously read Evans’ other book, “The Horse Whisperer,” and had enjoyed it, but were disappointed with this selection. There was quite a bit of talk about the cover of the book and how they didn’t think it related at all to the story inside and was a bit misleading. Some didn’t like the back and forth time-difference style of the novel and found it confusing and/or distracting. Those who liked it found it was true to life in that we all have secrets and behave strangely at times–we all have problems, bad things happening, and weird family members. 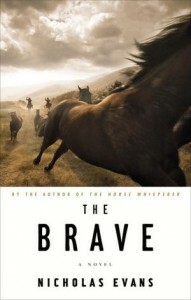 Discussion regarding the title, “The Brave,” was summarized in that there are different types of bravery. Most considered bravery to equal courage with nobility, but didn’t find that in this book. Since this book was on the NY Times Bestseller list, we researched how a book is chosen to appear on that list and learned the exact methodology is a trade secret! “Once a Spy” was full of intrigue and non-stop action. The plot had an interesting twist in that one of the main characters, a former spy, has early-onset Alzheimer’s. Members of our book club said the various plot lines kept their attention, but sometimes there were poor transitions between them. Others wished there would have been more development of the Alzheimer’s story-line and wondered how much practical research the author did on the disease. If you haven’t yet “met” Bill Bryson, do so as soon as possible. He’s been one of my favorite authors for some time now (coming from Director, Adrienne Olejnik). His wit and candor about anything and everything are refreshing–he’s one of those authors in whose books you find many laugh-out-loud moments and you find yourself stopping others nearby to read them a passage that was just irresistable. So did other book club members find him as delightful? Yes and no. His humor is not for everyone. But several commented how his observations and, often, sarcasm, hit the nail on the head. “I’m a Stranger Here Myself” is a collection of newspaper columns he wrote in the late 1990s. Despite the age of the columns, they are still delightful to read. The theme of the columns is Bryson’s reflection of returning to live in America after being away for some time (decades) living in England. Other books by Bill Bryson are fun, too, and most are memoirs of his travels. Try him out and discover non-fiction books that are very enjoyable! “Sarah’s Key” is a novel with two parallel stories, one set in July 1942 in Nazi-occupied France, and the other in modern-day (2002) Paris. The novel tells about the role of the French Vichy government in a round-up of thousands of Jews in France in July 1942 and their exportation to concentration camps for extermination. One small girl, Sarah, aged 10, is the central character in the 1942 story, and a journalist, Julia, who is researching and writing about the Vel’ d’Hiv roundup for its 60th anniversary, is the central character in the modern-day story. The two stories intertwine, and most of our book club enjoyed the writing style of the parallel stories. While any book about the Holocaust naturally must be disturbing and bleak, Tatiana de Rosnay showed another part of the story that many people never had learned. Most in the book club had no recollection of ever learning about the Vel’ d’Hiv round-up. The reader receives a really good picture of the horrors that occurred on that day. Some book club members were disappointed with Julia’s character, noting she was a “doormat” and didn’t stand up for herself until some unexpected circumstances forced her to have her own voice. Her “weak” character, though, only seemed to highlight the very strong character of the young Sarah and all the turmoil she lived through. The book was an engrossing read–one that was hard to put down. If there’s one thing to take away from the story, it is “We Must Never Forget.” We must never forget the atrocities that occurred in the Holocaust and what fellow man is capable of. “The Greatest Generation” is a collection of stories from those who served in some way in World War II. It is often noted of this generation that the war was seldom discussed and few stories were shared. Yet, one can get a sense of some of these stories through Tom Brokaw’s book. Many in our book club found the book to be too lengthy, which made it repetitive, but others were surprised at their ease of reading the book and the book’s readability. One member commented it should be mandatory for politicians and other decision-makers to read this book before engaging in a new war. Qualities of “the greatest generation” that were made clear in the book were: the work ethic (which many believed started out on the farm) and the feeling of great patriotism and responsibility (how the men felt it was their duty to serve). We had an interesting discussion of how America changed after this war–and how the war changed America. The drive for efficiency was a by-product of war-time, and this continued on into normal business operations. Was this work production truly beneficial to our society? Also, the war may have been the spark for further women’s liberation and women working outside the home, which some members held was the beginning of a moral/family/cultural decline for America.Â Society possibly became “over-involved” as more organized activities emerged post-war. Regardless of one’s opinions on how America did or did not change after World War II, it was fascinating to delve into the nuances of our culture pre, during, and post-war. One of our Kansas authors has done us proud! With those who had read her previous novel, “The Virgin of Small of Plains,” they were not disappointed with Nancy Pickard’s latest, “A Scent of Rain and Lightning.” Several of our members commented the book kept you guessing and in suspense until the very end–which is rare among writers and a trait to be admired. Through each plot twist and turn, Pickard has your brain working during the entire book. A young girl’s parents are murdered in a small Kansas town, and a man is sent to prison to pay for the crime. Fast forward more than 20 years later, and the man is being released from prison and is coming back to town. Emotions and tension are high not only for the victims’ family and the killer’s family, but for the whole town. Pickard can weave a tale that is most enjoyable and complex at the same time. We hope she’ll write more books set in Kansas in the future since both over the past few years have been real treats to read! “The Immortal Life of Henrietta Lacks” was a fascinating true-life tale that encouraged members of our group to ponder questions one doesn’t usually come across in day-to-day life. If you’ve heard of HeLa cells, you’ve heard of Henrietta Lacks, for she was the woman whose cells were unknowingly taken from her body during a procedure at a hospital in the 1950s. These cells were unusual in that they grew prolifically in research labs when other cells failed to thrive. Her cells have been instrumental in medical research ever since. But neither Henrietta (who died shortly after the above-mentioned procedure) nor her family knew these cells had been taken. The author, Rebecca Skloot, takes the reader on a journey through Henrietta’s legacy not only in familial and personal sense but also through a medical and scientific aspect. Questions were raised such as: Should consent be required prior to taking and using tissue samples for research? If someone makes money from tissue research, should the donor in some way be compensated? Should a tissue donor have the ability to decide or prohibit which types of research are done on his/her tissues?Â What is the responsibility of the medical field in confirming a patient/donor understands why certain procedures are being done or samples being taken (especially when on a volunteer basis for medical research)? Clear answers for these questions are not easy and may not even be possible, but we enjoyed talking them through nonetheless. 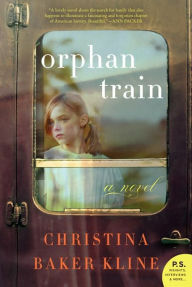 Another book reminiscent of “The Help” and “Saving CeeCee Honeycutt” was our selection this month. 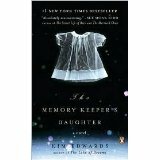 The book recounts a coming-of-age story of Lily Owens who ran away from her harsh father to Tiburon, South Carolina. An odd picture of a black Virgin Mary with the inscription “Tiburon, South Carolina” written on the back is the item that leads her to a pink house occupied by three African-American sisters who raise bees. Lily learns many life lessons and enjoys living with these three sisters. Lily has faced many tough circumstances in her life and learns how to make some peace with herself and others. 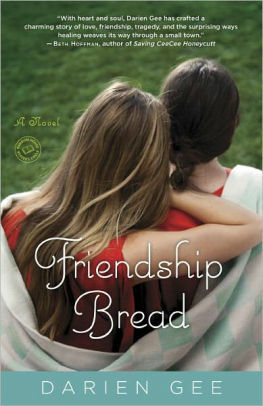 The book portrays strong women characters who understand and appreciate the bonds of womanhood. They even have a hodge-podge religion they adhere to that brings them closer together. The group had an interesting discussion of the seemingly more frequent tendency for people today to mix a little bit of this religion and a little bit of that religion to create a new spirituality for themselves. But the characteristics of the book that stand out in our groups mind are the portrayal of friendship, trust, open-mindedness and comfort. “A Secret Gift” recounts a Depression-era story of Sam Stone, who gave away money to over 75 families around Christmas time in 1933. An ad was placed in the local paper of Canton, OH, asking that those in need write to “B. Virdot” to tell him of their circumstances, and he would choose families to assist. Sam Stone’s grandson discovered these letters about 75 years later and embarked on a quest to discover more about these letters and his grandfather. The book provided moving descriptions and some copies of the letters that gave a good picture of what life was like in the Depression, or the “Hard Times,” as so many called it. We saw some similarities to our modern era’s “Great Recession.” Today, many people are not out of work–they are working, but it’s just not enough to get by. A few notable items from the Depression era that were displayed in the book were that people didn’t want charity in those times–writing to B. Virdot was possibly a form of catharsis for them to pour out the difficult times they were experiencing. People also wrote beautiful thank-you notes back then, which seems to be a lost art today. The group discussed that perhaps life is more casual now–lacking some of the manners of yesterday–and how many of those manners take a lot of effort. Some group members commented the book was a bit dull and repetitive, but was one you could set aside for a few days and pick right back up, if needed. It was educational and a good reminder of a frightening, helpless time, that one should let grow too dull in memory. Since we started rating our books earlier in 2011, “Saving CeeCee Honeycutt” has received the highest marks. This book was a delightful read. Some commented they laughed out loud several times and really enjoyed getting to know the characters. The book was described by our members as “uplifting” and “fun” and was so well developed and written that the setting was somewhere you wanted to go and the characters were people you wanted to know. The book was compared to “The Help” by Kathryn Stockett and “A Redbird Christmas” by Fannie Flagg, which our club read in previous months–both have left a mark on us as highly recommended books, and now “Saving CeeCee Honeycutt” joins their ranks. North Platte: A small town with a big story. If you haven’t heard of this town in Nebraska and its remarkable story from the 1940s, check this book out! The North Platte canteen served over 6 million soldiers who traveled through their town via train on their way to further duty in the U.S. Armed Services. The townspeople of North Platte (and many surrounding communities) volunteered countless hours and foodstuffs to provide a brief glimmer of happiness and comfort for the soldiers’ 10 minutes in North Platte. The story was very inspirational and made us think about “wartime-then” and “wartime-now” and how differently individuals, families, and communities are affected by war. Some members commented how much sacrifice there was then, but we don’t “give up” things now to support war. Some of the people in the book saved their own ration coupons for the benefit of the canteen and soldiers. Serving the soldiers also gave many people a purpose to help with the war when their own loved ones were either in the war or had perished in service. It was interesting to members to think of all their relatives that were in WW2 and how many of them might have stopped through North Platte. The book is recommended with the only downside that the stories became repetitive–it might have been better as a two-page newspaper spread than a book, but it’s a story worth sharing! “The Union Quilters” is the 17th book in the Elm Creek Quilts series by Jennifer Chiaverini, but is a unique novel in the series, for it goes back in time to the Civil War Era. Many of our members enjoyed the era the book was set in and all the historical facts and stories the author integrated into the novel–for some it was a re-education of parts of the Civil War. Even Abraham Lincoln made an appearance by meeting one of the novel’s main characters after his famous Gettysburg Address. One member noted the beginning scene where the Elm Creek Valley women sent their husbands, loved ones, and sons off to war was vivid in her mind and reminded her of her own feelings in such circumstances. 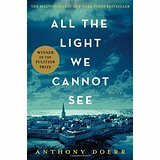 The novel was an intimate portrayal of the person effects of war on families and communities. The group also thought the book gave a good picture of the conditions of war that soldiers face–the hardships and shortages of needed supplies.Â One of our members mentioned that it’s taken us a long time to realize the value of people–the comment stemmed from a discussion of the rights of women and non-whites in the book (how not much had changed from medieval times to the mid-1800s. The book encouraged a discussion of our local quilting groups, which brought back fond memories of many women in the Rossville and Delia communities. 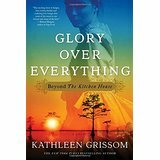 If you like historical fiction, quilting, or books about strong women characters, this may be for you. Most felt the story read slowly, but had a good ending and overall was a good book. 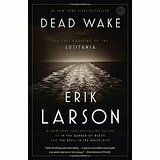 As the book club leader, I was surprised at the low average rating of this book (lower than our previous month’s other legal thriller). John Grisham is known as the king of legal thrillers (even though there are rumors out there he’s soon to give up writing these and move on to another genre of writing…we’ll see!). Perhaps it was the book’s controversial, and often emotionally-tied, theme of the death penalty that caused a lower average rating. The book is primarily set in Texas (a state notorious for their use of the death penalty), but parts of the book were closer to home, just down the road in Topeka. It was interesting to see such a famous author use a town close to home in his novel (though we suspect he didn’t visit). We did have an interesting discussion of the death penalty, and some members shared their opinions regarding such (some wereÂ against it, but others could see both sides of the issue, too). The death penalty topic led into a brief discussion of the penal system in general and also what makes criminals “criminals.” In the book, Travis Boyette states he wasn’t born a criminal, but the abuse as a young child and then his experiences within the criminal justice system made him who he is. The nature vs. nurture debate wasn’t hit upon much in the book, but definitely made the reader think about the question. We agreed that race and the media weighed heavily on the outcomes in the novel as well. We considered the effects of the media on police investigations and judicial outcomes in real life, too. The book is a fascinating read, which makes most readers experience outrage, sympathy, and retribution. 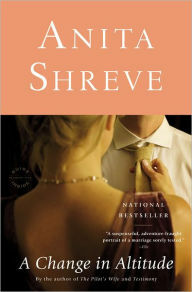 Some admired John Grisham for using the novel as a platform for raising an issue that he cares about while others thought he shouldn’t use his influence as a popular writer to promote his personal convictions. A Plague of Secrets kept readers’ interests and was a fast-paced thriller that kept one guessing “who did it.” The protagonist, Dismas Hardy, was well-liked and an intelligent character. Several of our members thought it was difficult to keep track of all of the various characters. But it was also pointed out that this was the 13th book in the Dismas Hardy series, and perhaps we wouldn’t have as much trouble keeping up with the characters (and would have better insight) if we’d started at the beginning of the series. Some thought the guilty party in the book wasn’t well-supported or able to be figured out by a savvy reader. All admitted the author left some loose ends in the story–this fact bothered some members, while others thought it was a more realistic picture of life where every mystery isn’t solved or explained. Overall, this book is recommended. Just don’t expect to have everything figured out! And it may be worth starting at the beginning of the Dismas Hardy series with Dead Irish, which was published in 1989. 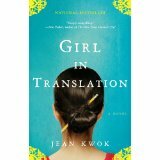 Girl in Translation was well liked by the group and even was favorably compared to the beloved book, The Help, by Kathryn Stockett. The group enjoyed being immersed in a different culture and discussed the interesting family dynamics of Chinese culture–such as deep, unwavering respect and obedience to one’s elder(s) (as seen toward Kim’s aunt). The group also explored Kim’s relationship with Matt, and several members opined on Kim’s choices at the end of the book (no spoiler here!). We also reviewed information from Jean’s website regarding her own personal immigration from Hong Kong and her work in a sweatshop as a child. While Jean stated the book is fictional and not a memoir, it seems she most definitely drew from her own experiences for the writing of Girl in Translation. All agreed the book was an enjoyable, quick read and were disappointed to learn this is Jean Kwok’s first novel. At least, Kwok has whet our appetites for more! The book is recommended by the Main Street Bookies. Overall, the book was highly disliked and/or abandoned before finishing. 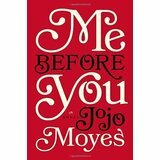 Most members considered the book a poor selection to be included on Oprah’s book club list. However, we were able to spark an interesting discussion of what freedom means and its potential pros/cons/inherent responsibilities. We also discussed world overpopulation, which was a poignant social issue discussed in the book. Only three members finished the book. One other member was going to keep reading and finish it. The overall consensus was to not recommend this book.